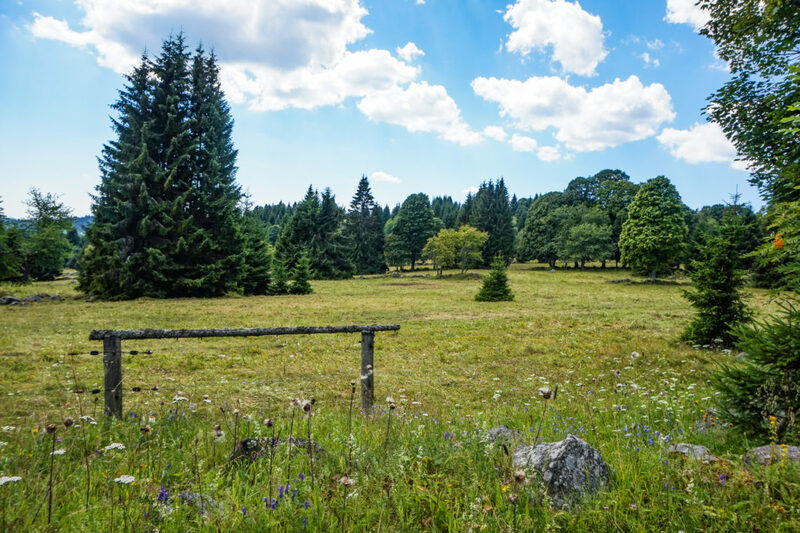 Šumava has always evoked me a peaceful nature combined with a secret history of our country. I have heard the stories of traffickers and people escaping the communist regime just across the Iron Curtain in Šumava. This mountain range also witnessed disappearing of numerous villages as well as building defense against the West. With the fall of communism, Šumava reopened to the public again. It reminds me of the Phoenix that rose from the ashes. Thanks to this closure, wild nature with all its secrets have been preserved and you can explore its beauty by yourself. 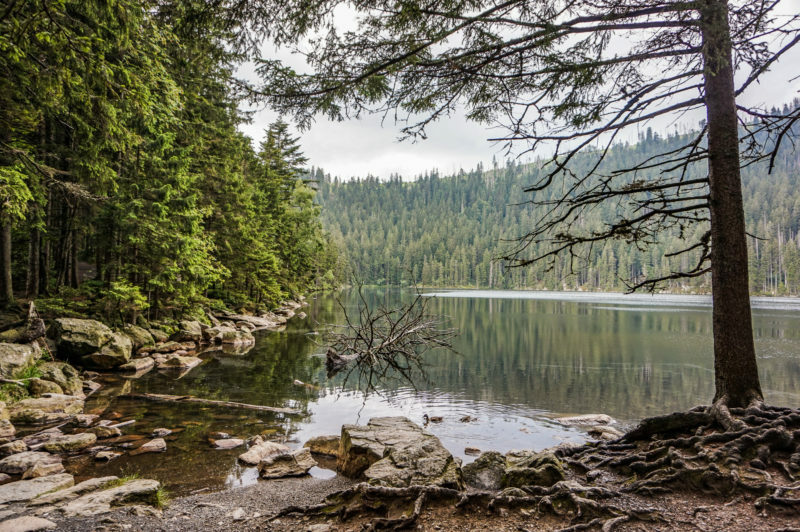 This beautiful national park is located on the South, bordering Germany and Austria. 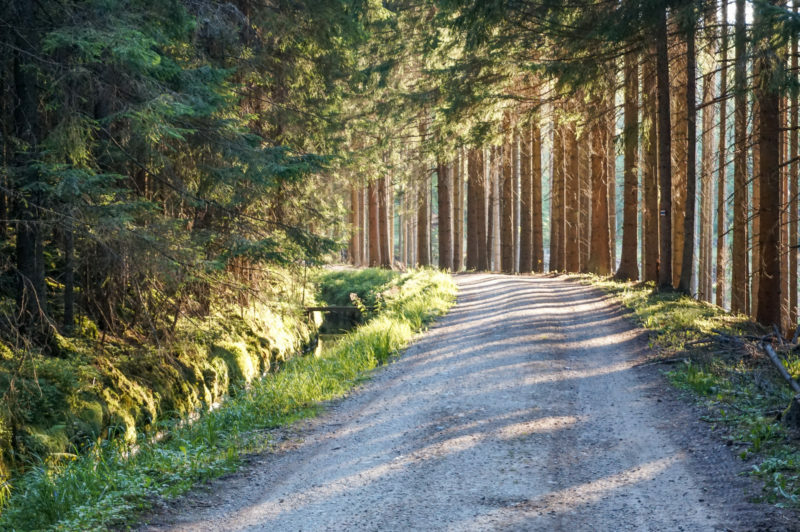 On the German side, the national park continues as the Bavarian Forrest. 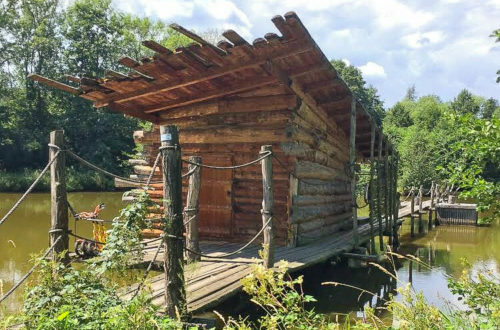 Together they represent the largest forested area in Central Europe, also called “the green roof of Europe”. 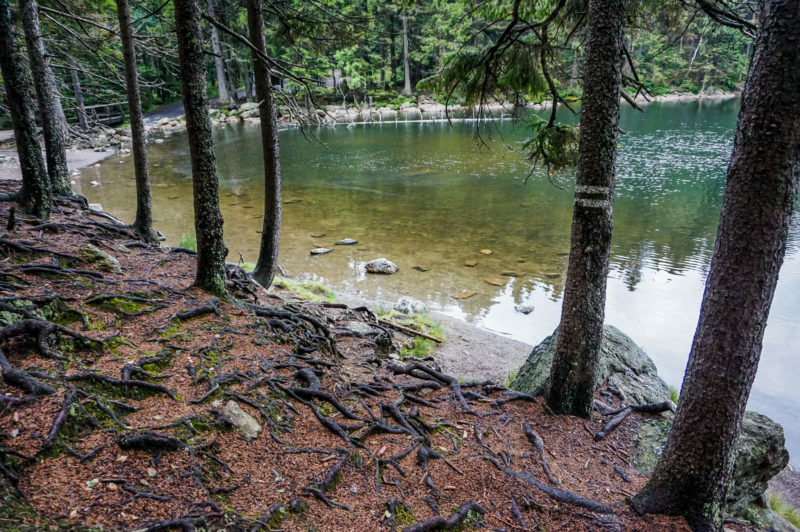 Since 1991, Šumava is part of the UNESCO for its unique biosphere reserve and crystal-clear glacial lakes. You won’t find too many tourist facilities there. So, plan your visit accordingly in advance. As a reward, you can enjoy hiking in unspoiled nature in the summer and cross-country skiing in the winter. I was curious to discover some of the disappeared villages. My friend recommends me an area around the former village Knížecí Pláně. To be honest, this place has a special atmosphere. From the former village of about 60 houses remains only the former gamekeeper’s lodge. Today, it’s a nice restaurant with accommodation. In the late 1950s, about 57 people still live in this village. Then it was completely destroyed because of the border zone with Western Germany. It was a fate of numerous villages in this area. 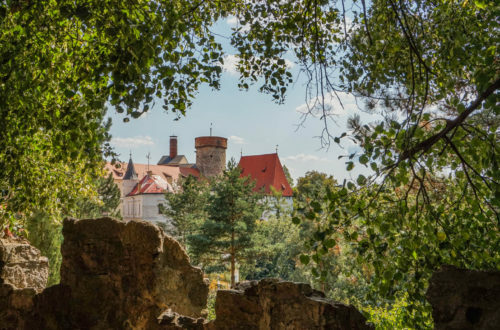 Until now, you can see fruit trees in the middle of the forest, flowers from the former gardens in the wild nature and remnants of the houses. 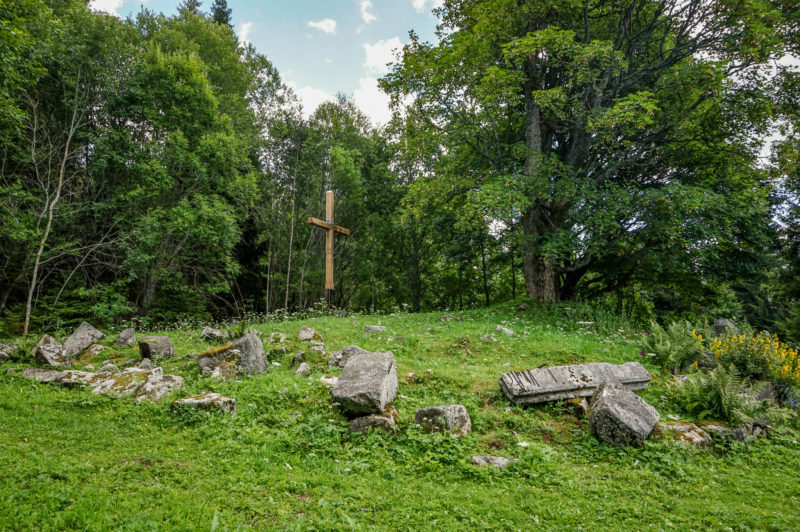 At Knížecí Pláně was recently discovered a cemetery with a former church where you can feel the history of the place. 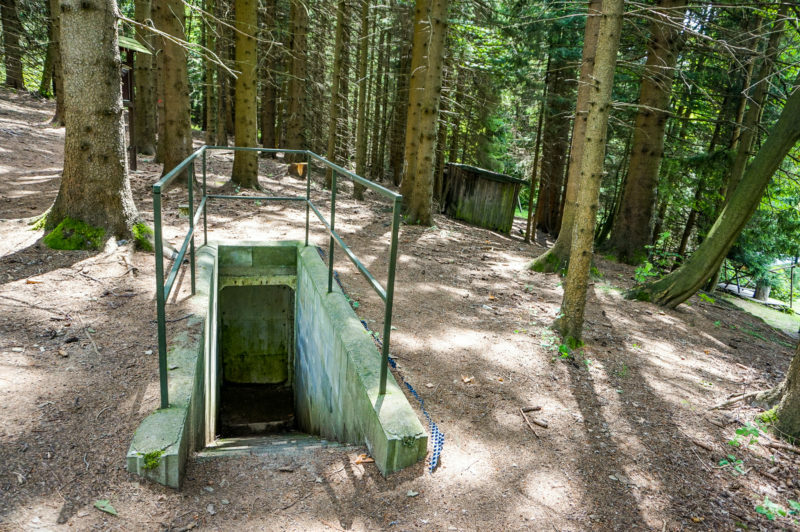 Just on the borders with Germany was recently discovered numerous secret bunkers. You might know the typical bunkers around the Czech borders that were built before the WW2, but these bunkers are different. They were built during the high peak of the Cold War between 1952-1964. If the atomic war would break out, the territory of Czechoslovakia was expected to be an atomic battlefield, so the comrades prepared for it. Their construction was completely secret to the public. So far was discovered about 2500 of these bunkers. 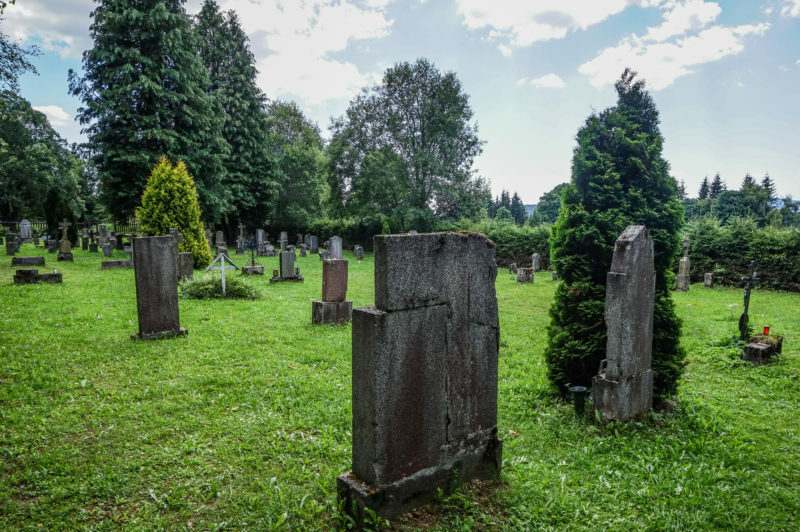 You can find some of them close by the city Železná Ruda where is a newly open touristic trail with few bunkers that you can enter at your own risk. Close by the Železná Ruda is a ski resort Špičák that is a great starting point for your discoveries of the most beautiful glacial-lakes in the Czech Republic – Černé jezero (Black Lake) and Čertovo jezero (Devils Lake). We originally planned a whole day hiking trip around these lakes, but it was raining since very morning. It stops only at 4 pm, so we skip to the cableway on the top of the Špičák mountain. 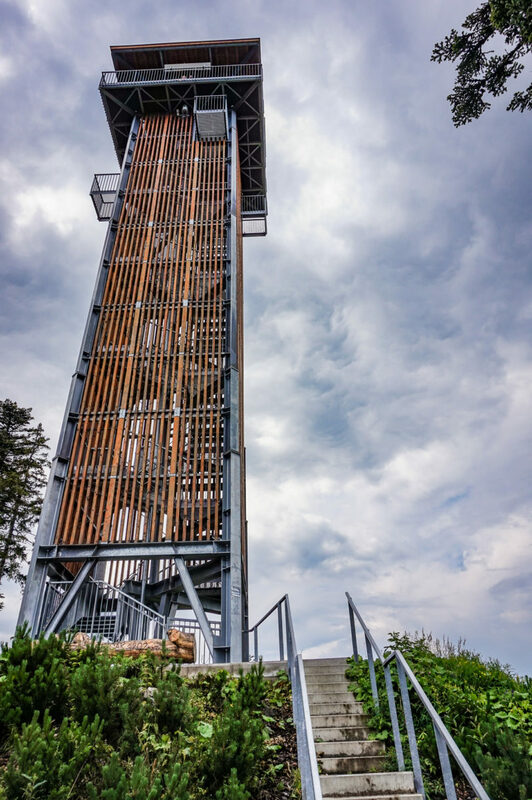 There is a beautiful lookout tower with the view to Bohemian and Bavarian Forest. With good weather, you can even see the Alps. From this lookout, we headed to the nearby Devils Lake. The Black Lake is the biggest one, but the Devils lake is the most beautiful one, according to the locals. Both lakes were located at the border area and closed to the public during the 1950s and reopened in 1960s under the supervision of border guards. Today, you can freely walk in the whole area and enjoy serenity around these wild natural beauties. Just to complete the story of Šumava during the Cold War, it important to mention Poledník Observation Tower, located about 30 kilometers from these lakes. This tower located close to the borders with Germany used to be a secret military installation and served as a signals intelligence station for wiretapping of western communication channels. The regime constantly denied its existence and even erase a mountain peak where it is located from the maps. Šumava is just a silent witness of this European history and you can feel it everywhere. These are just small examples of stories. You can discover more of the disappeared villages, secret bunkers and beautiful trails by wild nature. 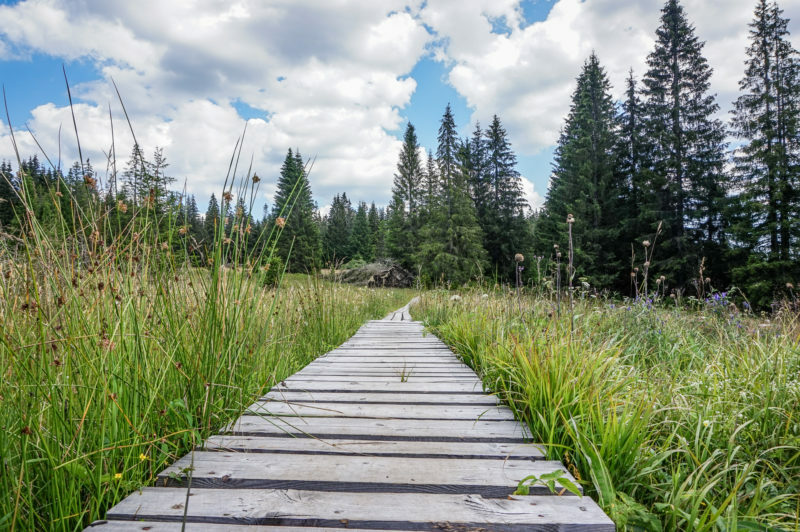 If you are looking for a peaceful holiday in beautiful nature, Šumava is a great place for you. Šumava is about three hours drive from Prague to the Southern borders of the Czech Republic. You can even take a train from Prague to Železná Ruda and travel by public transport around. However, I would strongly recommend a car, that will provide you with more flexibility. Just be wise and plan your accommodation in advance. I plan it just a week before our trip and I have difficulties to find some. Šumava is getting more and more popular and new accommodation is just slowly under construction. So, plan wisely.